Logistics can sometimes feel like an ongoing game of Tetris. Collaborating with the rail line to ensure the delivery of quality product in a timely manner is often overwhelming. In order to ensure the fluid movement of product from point A to point B, delegation and foresight are absolutely crucial; however, a full understanding of rail siding and the logistics behind it are needed to successfully implement a plan. 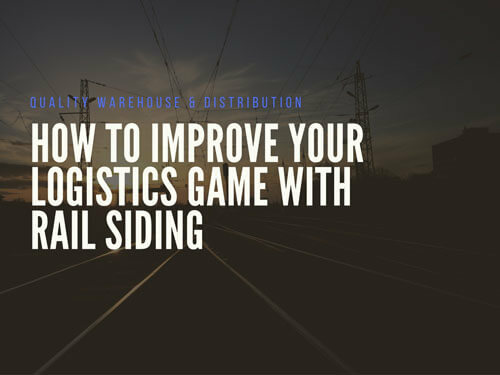 While learning the logistics behind rail siding takes time and practice, there are several areas that can help get you started on improving your logistics game with rail siding. Learning more about the services your rail line offers is a great way to delegate some of the responsibility that may be taking up the bulk of your time. For example, using staff to man the terminal may not be the best use of warehouse resources. If you are interested in keeping staff on site, then talking to your rail line about managing this responsibility may be a possibility. Visit your rail lines website or talk to a representative to determine if this service is offered and discuss any associated fees. If you are a long-term customer, then think about discussing an opportunity for potential savings. Transit monitoring is another area that may save you time and money if handled correctly. While monitoring via paper may have its benefits, using an electronic system is faster and may even offer full visibility on your shipment from start to finish. Companies such as SGS provide their own monitoring system, such as TransiNet, with the convenience of customer portals that offer real time traceability of in transit shipments. While accidents do not always occur, it is important to prepare for the worst so that there is a written strategy of how to handle anything from a typical shipment to a serious disaster. Developing a road/rail safety management plan is a great way to plan for the future when it comes to improving your logistics game. Road/rail safety can include anything from small accidents to the full destruction of product. While this may seem unlikely, the importance of this plan cannot be stressed enough as it will avoid scrambling around during a chaotic situation, if one were to ever occur. Although it may seem more logical to create a road/rail safety management plan for truck deliveries, rail lines do sometimes have accidents as well and therefore, it is far better to be prepared. When it comes to rail lining, a road/rail safety management plan may include items such as the identifying and managing risk, property protection, and steps for properly handling emergencies. If you would like to view a sample of a road/rail safety management plan then take a look at the plan developed by Australian Southern Railroad. Quality inspections are frequently requested by customers and offer a certain level of assurance that the product is received intact. 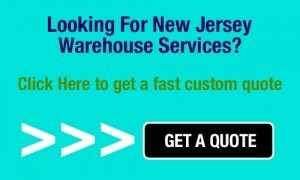 One problem that may arise if you are performing your own inspection is that damaged product may go unnoticed until it is delivered to the warehouse for inspection. This could mean serious delays depending on if the inventory needs to be distributed before a certain date. Fortunately, some rail lines offer quality inspections of product, which could save you a lot of time and effort. If you are worried about the quality of product being delivered and the timelines associated with that product, then speaking to your rail line about performing quality inspections may be a great way to ensure that any issues are caught early on.